← Riding the MBTA subways . . . all of them! The Mall of Lost Souls isn’t just an American thing. 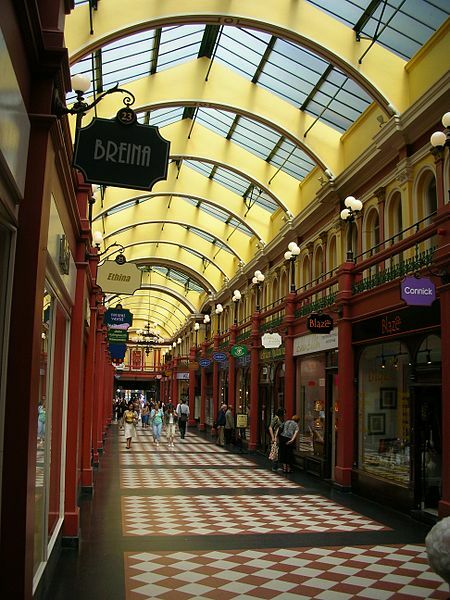 If you look closely, you can see it lurking within Birmingham, England’s Great Western Arcade, which has had more than a century’s experience in entrapping the unwary! Miranda Milan is a witch. She’s also a walking goth fashion disaster. And now she’s taking Jane Harris and Cindy Van Schacht on a trip to one of the most dangerous places in the world: a shopping mall. But this is no normal shopping mall. This is a place where even your credit cards can turn against you. This is the Mall of Lost Souls. And Miranda is placing all three of them in danger as she goes “Shopping for souls” in chapter 13 of Summer of the Netherfield Witch. I enjoy history because it helps me understand people. I'm writing fiction for much the same reason. This entry was posted in Netherfield Witch, Writing fiction and tagged fantasy, Fiction, horror, Humor, lost souls, shopping mall, supernatural, Writing. Bookmark the permalink. Mongolia? I haven’t had that one. I do, however, have a following in the Far East. 12 different countries represented—but not Borneo and Sarawak! There have actually been more than one hit from Latvia and St. Lucia over the lifetime of this blog, to my surprise. (I just looked up ALL the figures.) On the other hand, there has been only one hit from Macao. WordPress now DOES give you the statistics in an Excel-compatible form, but for only intervals (day, week, month, year), not the whole blog lifetime, which they used to display. Nor surprisingly, the U.S., U.K., and Israel generate the most hits. Me too of the States and UK—followed by, as I said, Far East (if taken as a whole), otherwise several Eastern European countries. Which, to me, is odd. What’s more there’s been little variation over the life of the blog (now into its 3rd year (not counting Nov & Dec 2012). I can be reached via e-mail, the Sillyverse account on Gmail.com Or you could always post a relevant comment here.